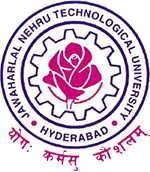 JNTUH B.Tech/B.Pharmacy 1-2, 2-2, 3-2 Semesters CBT Time Tables June 2018, Jntu Hyderabad Computer based test June 2018 Time tables. Sir I am b.tech (R13) student. 1subject in 3-2 .Then am I eligible to leave 2subjects for choice now and write 1subject later ? If so, can leave 1subject in 3-2& another in 4-1.